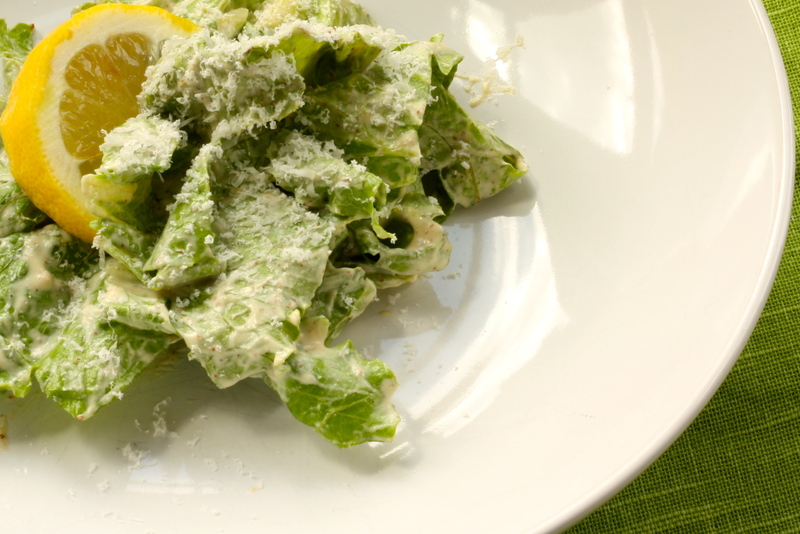 It’s really easy to make your own Gluten Free Creamy Caesar Salad Dressing at home. As such, many store bought brands contain gluten but you can make your own great tasting dressing which is hands down, more flavourful than any bottled variety you’ll find. Although some Caesar Salad recipes use a raw egg, a coddled egg give the dressing a smoother, creamier texture. By using a gluten free Worcester/Worcestershire Sauce, you get the same lovely undertones as found in traditional recipes that contain gluten. And by making your own Gluten Free Creamy Caesar Salad Dressing, you’ll always have great tasting dressing on hand. Firstly, place three eggs in a small pot and add enough water to cover the eggs. Turn heat on to medium/high and allow the eggs to slowly cook. Next, remove the eggs when the water just starts to bubble – don’t allow the water to boil! Immediately place eggs in an ice bath or cold water until ready to use. The Eggs whites should be very runny but slightly white around the shell. Finally, carefully separate whites from yolks ensuring you don’t miss any egg white that may be left in the shell. In a blender, add egg whites, and the remaining ingredients (except olive oil) and blitz well. While the blender is still running, slowly add the olive oil a few drops at a time. Adding too much oil, too fast, too soon, will cause your dressing to split so it’s important to add the oil slowly at first to allow the dressing to emulsify. Once the dressing starts to thicken slightly, add the remaining oil in a steady stream. Blend for a minute or so until dressing is thick. Taste for flavouring and adjust seasoning as desired. Don’t be afraid to add an extra squeeze of lemon juice, worcester or salt and pepper to balance the flavours. Because this Gluten Free Creamy Caesar Salad Dressing is made with raw egg, it’s important to keep in the refrigerator until ready to use. It should be consumed the same day. It’s also important to note, pregnant women are advised to avoid raw egg products so please keep this in mind when entertaining for others or if you are pregnant yourself.